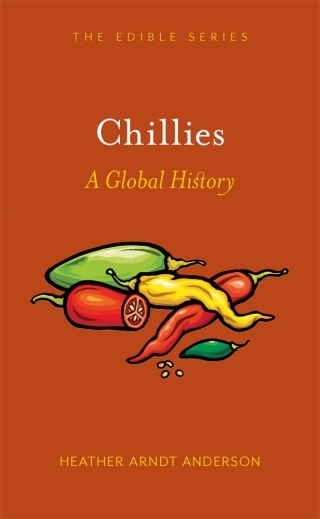 Despite their fearsome reputation, chillies have helped to shape the identities of innumerable world cuisines. 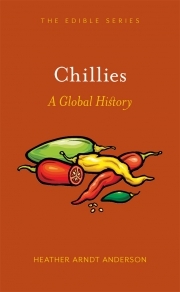 Chillies traces the culinary journey of the spice and uncovers cultural and spiritual links between chillies and humans, from their use as an aphrodisiac, to the recent discovery that chilli heat shows promise as a treatment for neuropathic pain, prostate cancer and leukaemia. It also makes a compelling link between the history of global trade and conflict and the spread of spicy cuisine worldwide. Peppered with lively anecdotes and details of chilli taxonomy and ecology, this entertaining history is sure to spice up your bookshelf.